The West Coast has warmer winters than the rest of Canada, and a relatively long growing season. The Lower Mainland, as I’ve mentioned before, generates two-thirds of the agricultural value in British Columbia. Metro Vancouver, the more urbanized half of Fraseropolis, has the biggest area of any B.C. county devoted to potatoes, beans, lettuce, Chinese cabbage, beets, carrots, spinach, rutabaga/turnips, pumpkins, shallots and green onions, blueberries and cranberries. So when is it safe to start planting food crops? We’re having an early spring, with temperatures rising past 20 degrees Celsius in late March. 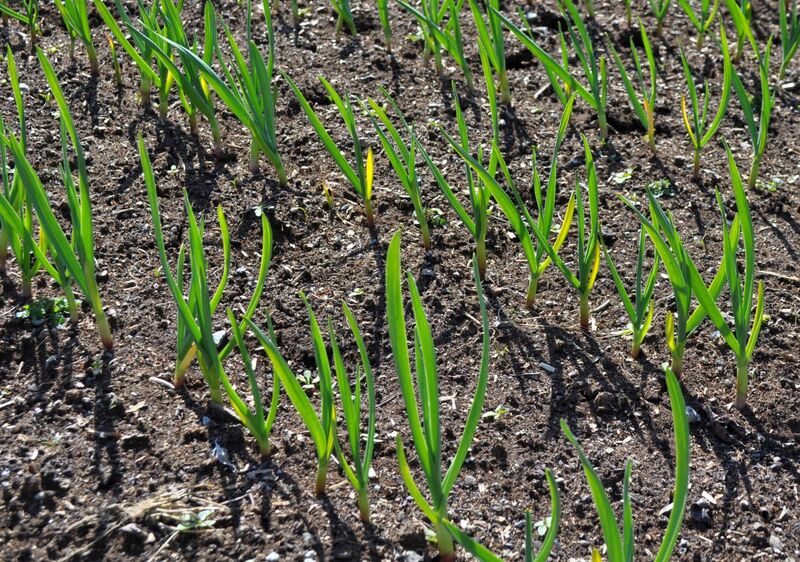 In Canadian folklore, however, you should beware of early warm spells, and wait until the May 24th long weekend to put in your garden. I cycled along the dykes to consult an expert. 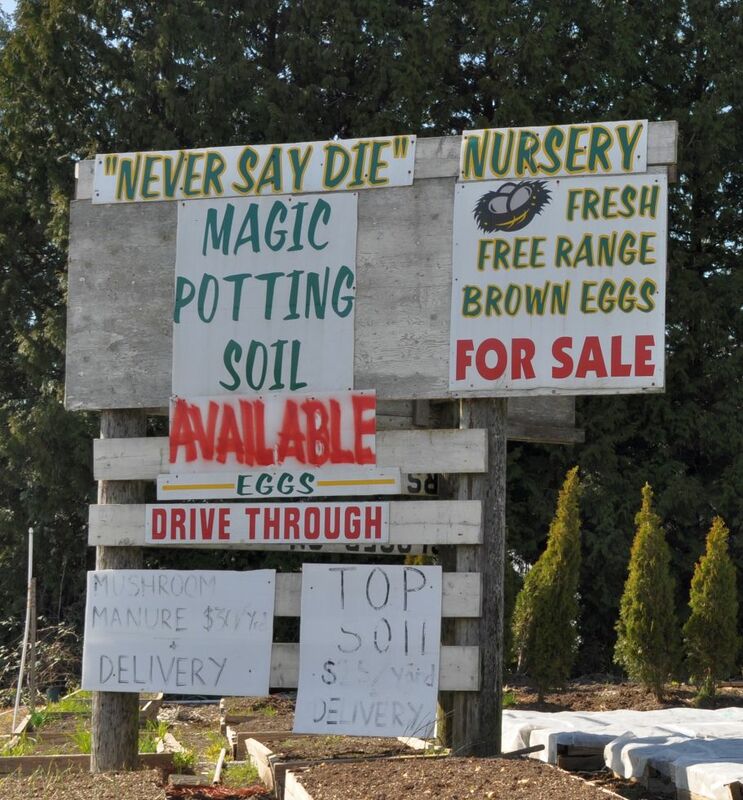 Fey Laan is an owner of the “Never Say Die” Nurseries in the City of Pitt Meadows, and a mainstay at the Haney Farmers Market where Vicki and I buy our swiss chard in summer. Yes, wait until May 24th, she said — if you’re an amateur gardener, and you’re planting tomatoes or basil; and wait until June 1st for beans. In Fey’s greenhouses: leeks, lettuce, spinach, parsley, green onions, kohlrabi, and tomatoes are underway, and several varieties of chard. “I like to push the green one,” she says of the chard. “It’s just like bok choy.” And later in the season, cucumber and squash, for transplanting. 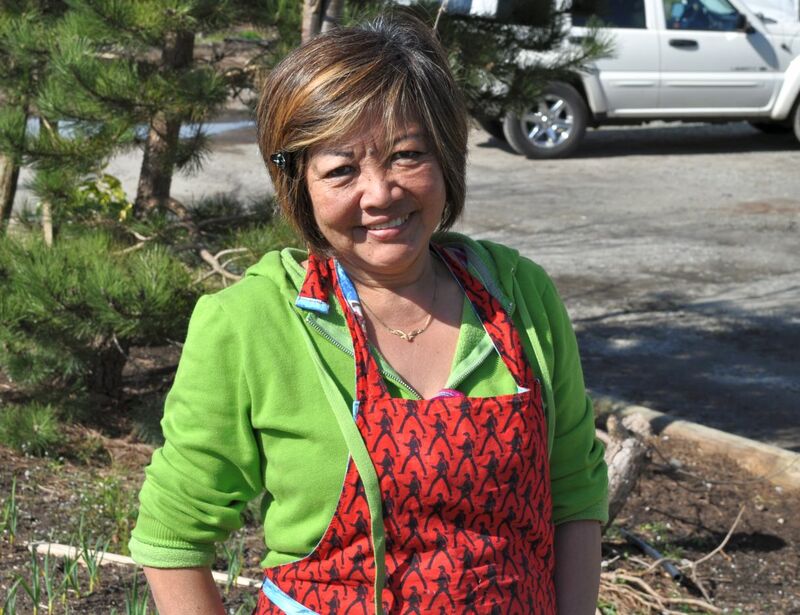 Fey started her business is 1999, selling eggs, garlic and bedding plants from her front gate. Since then, the demand for bedding plants has fallen off, and she has given them up. Her weekly stands at the Haney Farmers Market in Maple Ridge and the Coquitlam Farmers Market in Austin Heights have broadened her customer base and brought her into contact with other growers. She’s trying to encourage everyone to grow their own food, or buy local. Back home at our townhouse in Maple Ridge, we’ve made an early start on kale (three kinds), and we’ll plant tomatoes, beans and maybe cucumbers when the moment seems right. Fresh peas are tasty, but they take up a lot of space, and the netting looks raggedy against the house, so we’ve cut it down and thrown it away. I’d love to! Probably July/August might be a good time? Maybe Vicki will join us for this one too…. ?